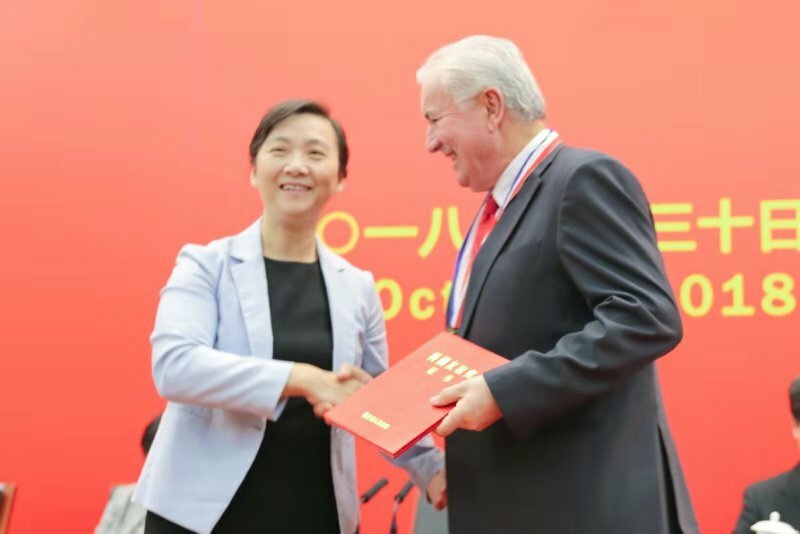 The Westlake Friendship Award is awarded biannually by the Governor of Zhejiang Province, China, to outstanding work provided by a foreign expert in that province. We are delighted to report that John Edwards has been chosen as this year’s recipient. The award recognises John’s professionalism and expertise over 20 years of work in Zhejiang Province and in other parts of China. His contribution has led to a strengthened capacity in epidemiology and the prevention and control of emerging infectious diseases in China. For many years, John has also supported Chinese students completing advanced studies in epidemiology in Australia, particularly through Murdoch University. 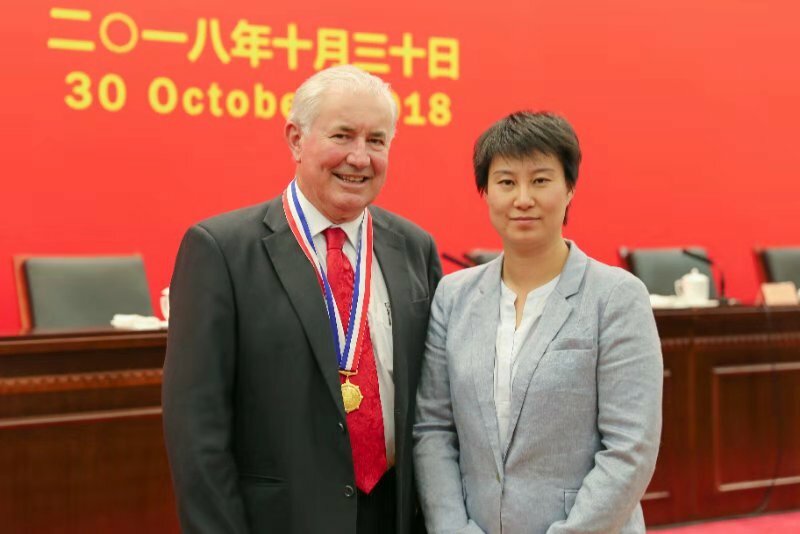 John was presented with the Westlake Friendship Award by the Governor of Zhejiang Province at a ceremony held in late October 2018. He also met up with China’s first foreign-trained PhD student with whom we are proud to have worked. Chang Cai attended Murdoch University and was involved in an ACIAR project in Southeast Asia with Ausvet a few years ago. John believes that Zhejiang Province is one of China’s leading and most innovative provinces and that our strong connections there will lead to more collaboration in the future. Ausvet would like to congratulate John on this outstanding achievement and his award.